Q1. 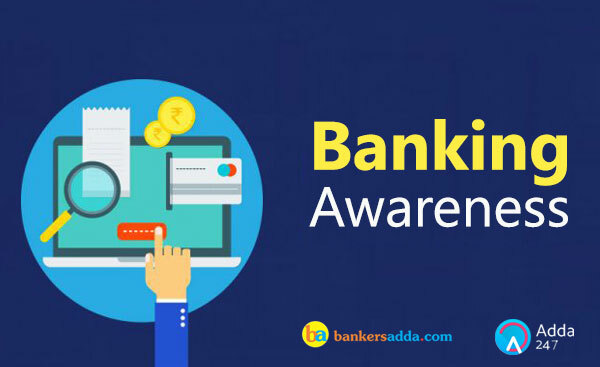 The Indian Institute of Corporate Affairs (IICA) and ___________ has signed an agreement for the training of employees of the latter in the area of payment banking. Q2. In which state, Andhra Pradesh Grameena Vikas Bank (APGVB) has operationalised its first desktop ATM? Q3. The NABARD has sanctioned _____________ crore loan assistance under the Rural Infrastructure Development Fund (RIDF) to Odisha towards irrigation and rural bridge projects for the last quarter of this fiscal. Q4. The Reserve Bank of India has initiated 'Prompt Corrective Action' (PCA) against Allahabad Bank over its high bad loans. There are total _________ Public Sector Banks on which RBI has initiated PCA till date (as on 04th January 2018). Sol. The Reserve Bank of India has initiated 'prompt corrective action' (PCA) against Allahabad Bank over its high bad loans. High net non-performing assets (NPA) and a negative return on assets (ROA) for two years in a row have prompted the action. The action would help improve its risk management, asset quality and profits. There are total 11 banks on which RBI has initiated PCA till date (as on 04th January 2018). Q9. India’s first home-grown high purity gold reference standard - the Bharatiya Nirdeshak Dravya (BND-4201) - was launched at the India Government Mint, Mumbai. The India Government Mint operates ________ mints in the country for the production of coins. Q10. The World Bank has committed ____________ loan to India for the STRIVE project for skill development. Q11. Who is present President of World Bank? Q13. Who is the present Chairman of IndusInd Bank? Q14. The Reserve Bank of India has initiated 'Prompt Corrective Action' (PCA) against Allahabad Bank over its high bad loans. Where is the headquarters of Allahabad Bank? Sol. The Electoral bonds will be issued in multiples of Rs1,000, Rs10,000, Rs1 lakh, Rs10 lakh and Rs1 crore and will be available at specified branches of State Bank of India. They can be bought by the donor with a KYC-compliant account. Donors can donate the bonds to their party of choice which can then be cashed in via the party's verified account within 15 days.